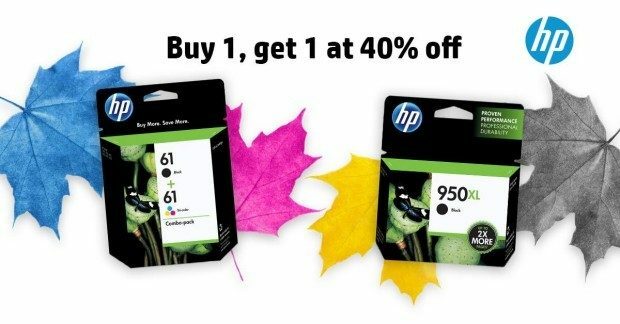 Buy One HP Ink Get One 40% Off! This post was sponsored by HP and MomSelect (I am being compensated). All opinions offered in this post are mine. HP is having a great ink promotion right now! Ink is always the one thing that we have the worst time, as couponers, keeping up with. Coupons take a lot of ink, so when there’s a special we sure want to jump on it! Right now thru 10/10 you can Buy One Original HP Ink and get a 2nd one of equal or lesser value for 40% off! That’s a nice deal! Don’t miss out on this chance to stock-up now! This offer ends 10/10/15.